Perfect, ready to go, family retreat & adventure outpost for the outdoor enthusiast. 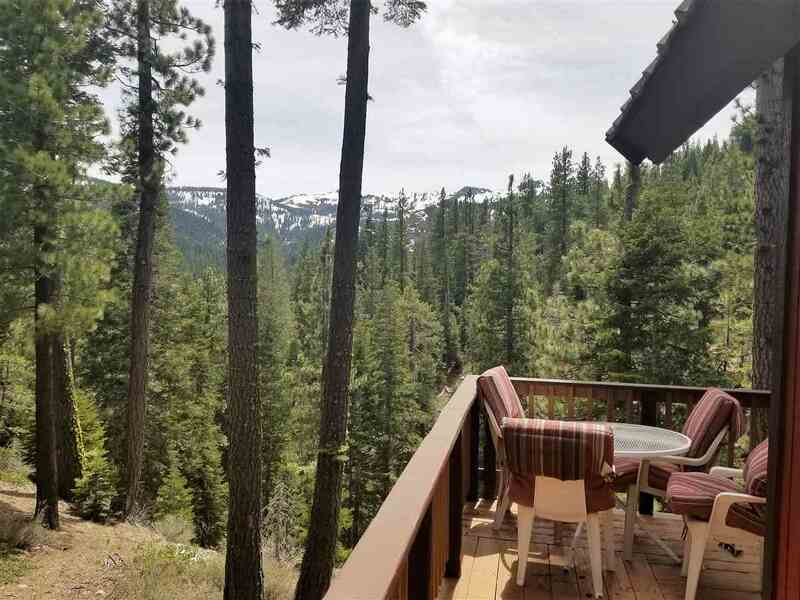 Very enjoyable as is with the serenity of a gorgeous location overlooking Cold Stream & a Cozy, 2 BRM, 2 BTH cabin - Great views of Tinker&apos;s & backside of Sugar Bowl - Just the beginning. With road easements, preliminary small Lodge plans, expansion studies completed, timber harvest potential, there is a good opportunity for business or expanded family retreat. Includes 3 snowmobiles - Winter access via snow machines!